At A-1002, Fr. 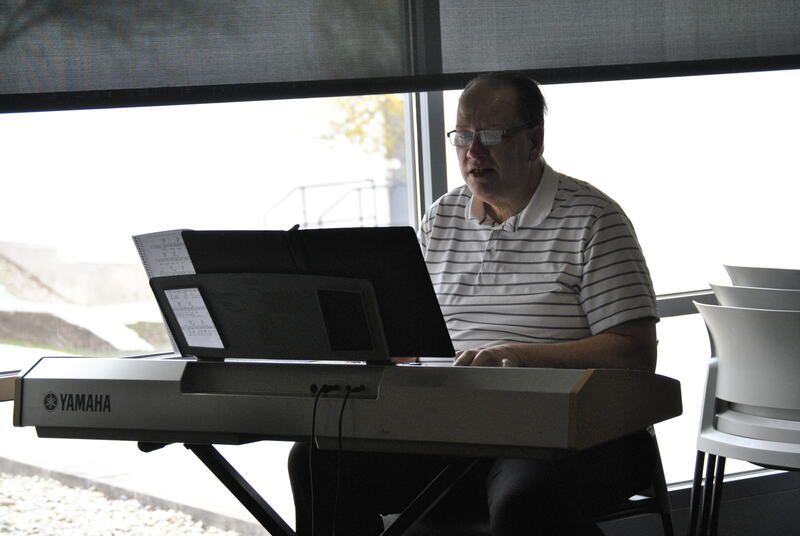 David Mowry stood over a pew in prayer while a small group of students and staff recited lyrics from psalms of the Catholic bible. According to Mowry, the mass was to commemorate Archbishop Oscar Romero, who was just beatified by the pope in 2015. The beatification is a recent event in the history of the Catholic Church, and Mowry believed it something that all Catholics should take part in, despite Romero being more prominent in his country, El Salvador. “Now since we are not in San Salvador, we don’t get to celebrate the feast day, with the full pomp and circumstance, but we still remember the holiness of his life and the example that he [Romero] gives to us,” said Mowry. 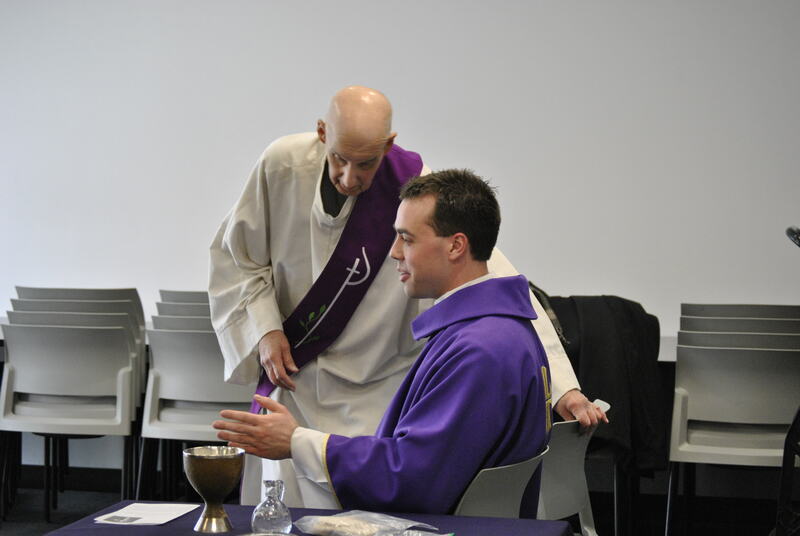 JJC’s Catholic Campus Ministries were able to schedule a time to bring Mowry of St. Mary Immaculate Parish, Deacon Jim Janousek of St. John the Baptist Catholic Church and James Rodnicki, the music director at St. John the Baptist Catholic Church. 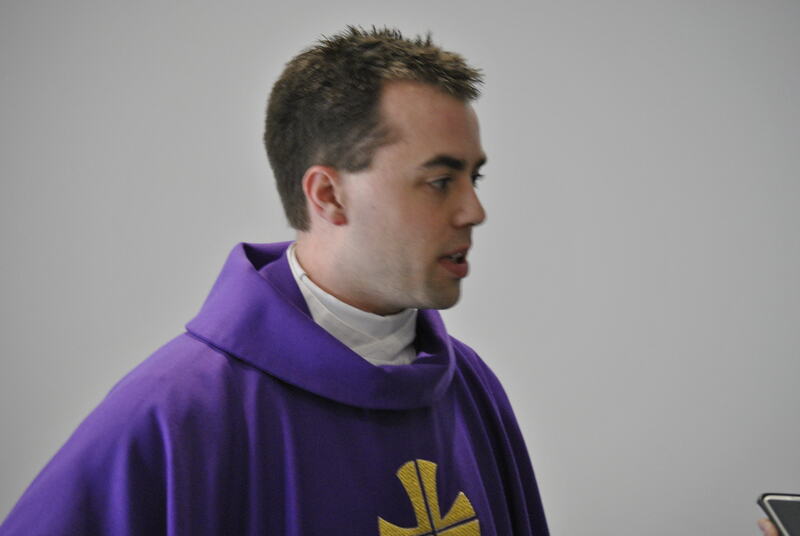 Shane Kenealy, interim club president for the Catholic Campus Ministries, said from the two years he has been a student at the campus, this was the first time that a bilingual mass was done, which he felt would allow for more people who speak Spanish to be able to attend. 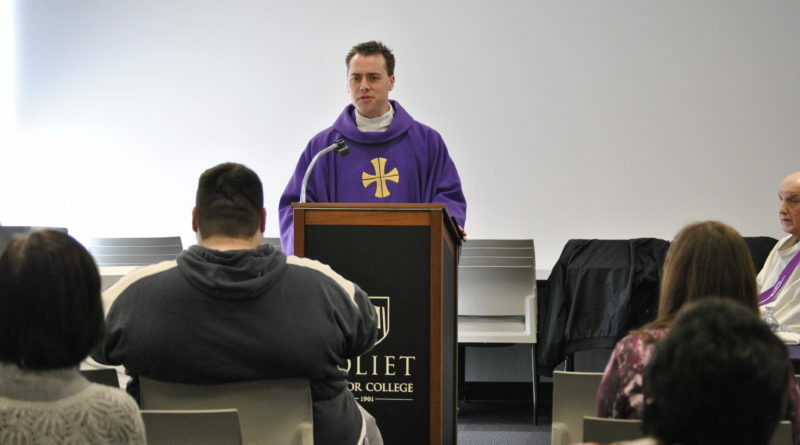 Kenealy said that although the service was wonderful, he hopes that more students will attend the mass, as the club hopes to bring more mass services to the campus. Marlene Kircher, co-adviser of Catholic Campus Ministries, and Linda Brodnicki, adviser of Catholic Campus Ministries hopes that both a Spanish and English mass service would be a recurring point to get more people to attend. Even if the mass is for the Catholic religion, both advisers do not see it as an exclusion. Kircher sees it as a way for students and faculty to get in touch with their spirituality, and it should not stop people from attending. “Catholic means universal, so everyone is welcome. The club’s next mass session will be on April 20 at the JJC Fine Arts Theatre.